Prompted by a friend’s request I’ve recently been on something of a mission to scan some of the slides from our family’s days in Papua New Guinea. 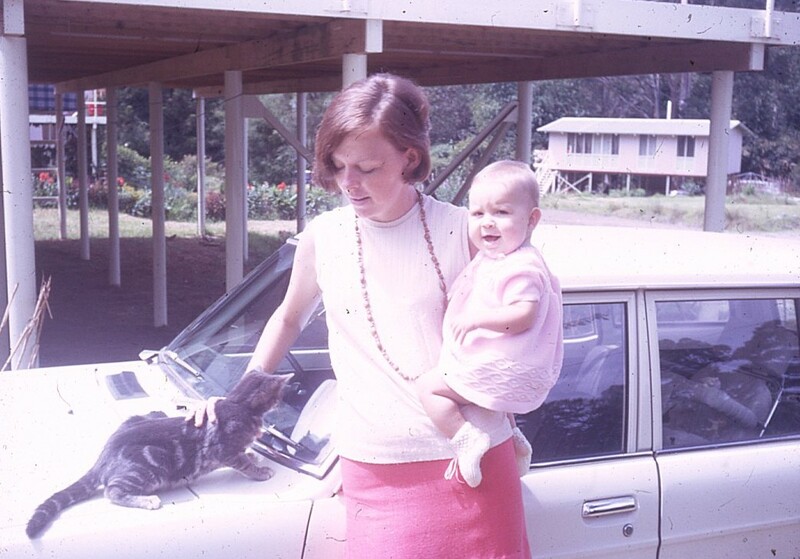 Back in the day we used slides rather than photos and have literally thousands of both family and places. Some time ago I had the “Top 100” travel and PNG scenery photos put onto a Kodak CD which brings its own technological warning: I can only open these now by buying a program online which says it can read these files. I think I’ll just settle for rescanning them. The current focus has been on people, trying to find evocative pictures of family and friends from PNG. While it’s all been about the people, it’s also amazing how important a role the background plays in describing the scene, so tempting as it can sometimes be, I didn’t crop the photo. The background can tell you about furniture and fittings (Oh those 70s curtains with wild geometric patterns! ), and show the surroundings be it the back garden, a remote picnic, scenery etc, not to mention fashions (those “hello officer” super-short minis). But they also evoke the memories behind the film –what happened on the way, the crowds of locals sitting watching us picnicking etc, warriors passing us en route. It can also be a vaguely depressing experience as you see family and friends who are immortalised on film but are no longer with us in the world. 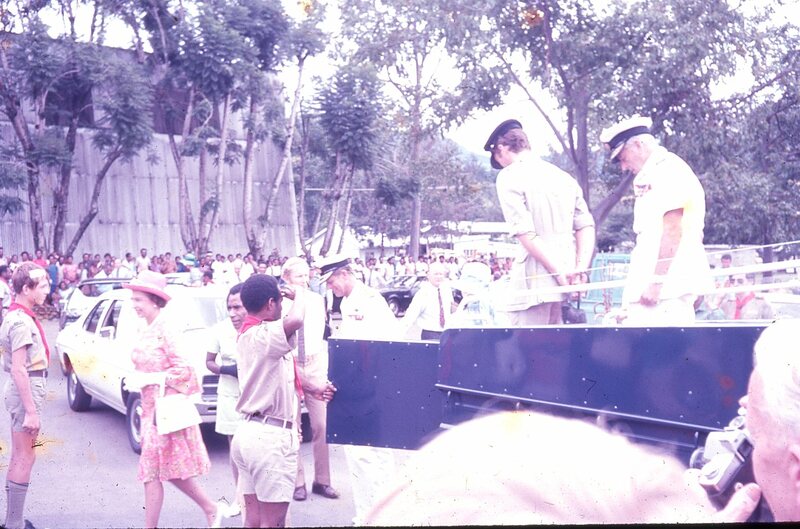 Queen Elizabeth II visited Goroka in PNG in early 1974. Not a superb photo but can you imagine being allowed to get this close today? Having discovered that my old Canon scanner’s film feature was no longer working, I thought I’d best strike while someone wanted the images from me. In the end I bought an Epson Perfection V500 after reading online reviews for its film scanning capacities. Last weekend I scanned about 1000 slides with an emphasis on people photos, especially our family. The scanning turned out well and the colours were very faithful. There are some that could do with a trip to Photoshop® but that’s because of the original photo. This is particularly good considering these slides have lived most their lives in hot humid conditions subject to mould. Scanning also meant I could also adjust the exposure for those where the flash hadn’t worked properly. It was kind of freaky to see some photos where my grand-daughter looks just like her mother at the same age and even more so realising how much my youngest looks like me at a similar age (don’t tell her, kids hate that!). There are still lots of photos of PNG places and scenery from overseas trips but at least I have the key family ones done – and backed up! And before the cyclone season as well, now to send a copy out of Darwin. The other lovely thing that’s come out of all this scanning is that this Gerehuligan[i]group, most of whom had lost touch for many years, have been swapping emails and photos which we hadn’t seen the first time round. It’s been good fun. 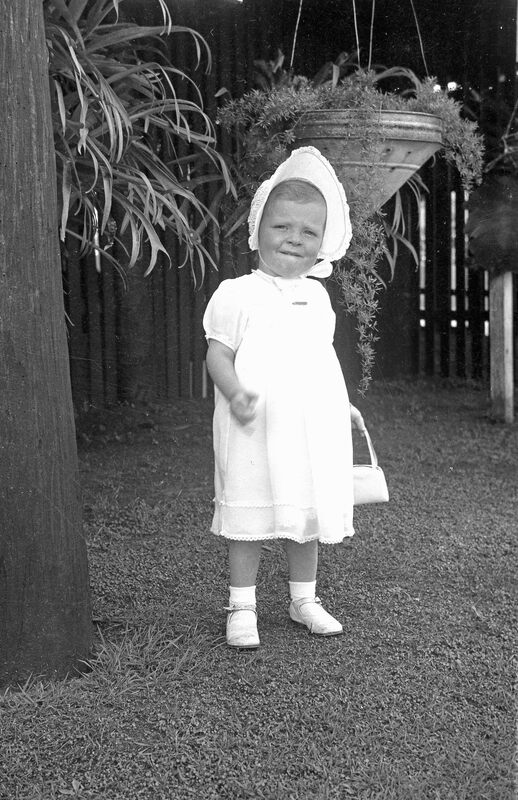 A decades-old baby photo has come up well with the scanner. Another of the reasons to buy this scanner was that it could do old size negatives. I had negatives that I’d taken as a young girl as well as negatives from my own baby photos and my parents’ wedding. I’m absolutely delighted that these have come up perfectly. Despite being decades old they look as good as new and true to the original standard. I’m absolutely delighted to have recovered these childhood photos in particular as I have very few actual photos. I can’t say the Epson manual is much use – if you can’t use the scanner intuitively I think you’d be in for a difficult time. It has performed well despite the fact my laptop runs on Vista 64 bit which can cause other programs to have a hernia. There have been a few “fun” moments along the way as each “weird” negative size brings its own challenges, but I’ve managed to figure out how to get what I want from it. What I’ve found posting this story, is that the image sizes are too large so I may need to rescan them at lower res. Even feeding the photos from these old negatives through Photoshop® does not reduce the size sufficiently. Overall it’s a big thumbs up for the Epson scanner. Turning briefly to the Flip-Pal scanner, which is currently not available in Australia unless you have someone in the USA willing to take delivery of it. Luckily my daughter went to the USA for work so I was able to order one through Amazon and have it sent to her hotel (letting them know first that it was coming)[ii]. It’s not too heavy or large so not onerous to carry. I love the fact that it’s so portable and I can just quickly scan something without having to go back and connect to the flatbed scanner. The results are fantastic and it’s super easy to use. I really love it and it will definitely be going with me whenever I travel for family history. Now for all those photos! [i] Named for where we lived. [ii] You can’t order through the company and have an Australian billing address even if the delivery address is in the States. Using Amazon got around this as I could use my current account and just add a new address. 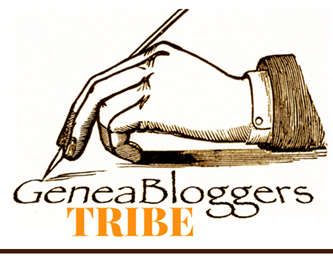 Geniaus has set us another meme challenge to test whether we’re tech savvy genealogists. Here is the list with my own responses. I notice there are quite a lot more items I don’t really aspire to, plus some that I might want to do, just not high on my list. I’m not sure frankly how others manage to tweet, blog, Google+ etc and do research as well. I’m probably a twitter-tart because while I find the twitter feed convenient for my blog, and I read others’ tweets, I don’t often feel I have anything unusual to contribute. Similarly with blog reading which mostly tend to be done in large batches and not day-by-day. I really enjoy reading the blogs I follow. 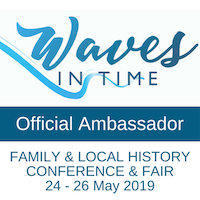 It helps to feel engaged with fellow genealogists elsewhere and overcomes a sense of isolation from living in the far north. I thoroughly enjoy my favourite blogs and like to leave comments on a regular basis as it’s a way of letting the blogger know they’re being “listened” to. However I’ve decided not to beat myself up over my failure to be on the ball with all the social media. Working on the “if I were to die tomorrow” hypothesis, my own priority is to leave some more documented research for my family. How do you balance your research with following social media and blogging? Which of these apply to you? 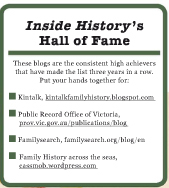 Have a personal genealogy website (I like using the blog, I don’t want to upload all my FH data). Have scanned, named and tagged your genealogy photographs and personal heritage photos and digitized old super 8 movies. All I need now is to work out how to cut extracts from the latter. Keep a record of your genealogy library in a suitable program. (I use Collectorz). Can never help adding a few more that I like to use (or some commentary). Thanks Geniaus for another thought-provoking challenge.